Coconut oil is produced from the mashed meat of mature coconuts and is purified to remove free fatty acids that cause the oil to go rancid more quickly. 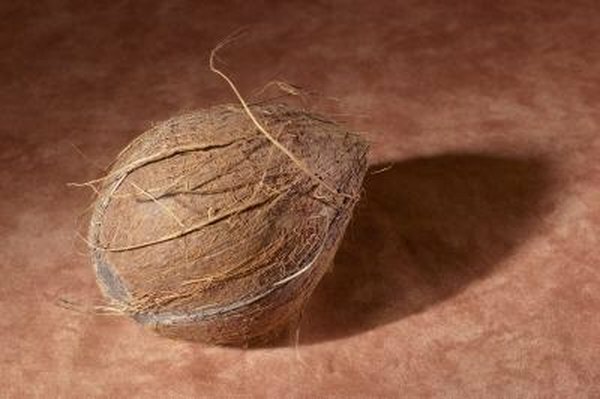 The quality and efficacy of the oil is dependent on the quality of the coconut and the manufacturing process. Coconut oil is very stable to light and heat due to the high amount of saturated fatty acids. Fractionated coconut oil is further purified to remove longer-chain fatty acids to obtain a product that consists mostly of fatty acids that contain 8 or 10 carbon fatty acids. Fractionated coconut oil has many advantages over traditional coconut oil since it is highly purified. It primarily contains the fatty acids capric and caprylic acid. Since the majority of the impurities are removed, it is much more stable and has a longer shelf life. It is more useful in cooking since it will have a purer taste with absence of impurities. In addition, the oil is a better choice for use in health products. Fractionated coconut oil is widely used in health products, lotions, hair care products and soaps. It is readily absorbed by the skin and doesn't leave a greasy feeling. Since it is thinner than unrefined coconut oil, it is an excellent oil for use in massage. It is also very useful as a carrier oil in aromatherapy products. In addition, it is practically odorless and tasteless and can withstand very high heat, so is ideal for use in cooking. Since fractionated coconut oil takes more processing and specialized equipment, it is more expensive than traditional coconut oil. Even though the refining process creates a more stable and useful product for many applications, it further concentrates the saturated fat content. Because of this, its use in cooking should be limited as much as possible. According to Cherrybond.com, some people may experience a heightened allergy to fractionated coconut oil; before you use it all over your skin, test a small amount on yourself in an inconspicuous area, such as the inside of your elbow, to test for reactions.